HARRY POTTER characters, names and related indicia are © & TM Warner Bros. Entertainment Inc. Harry Potter Publishing Rights © JKR. (s19) THE SIMPSONS TM & ©2019 Twentieth Century Fox Film Corporation. All Rights Reserved. 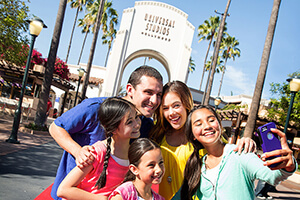 ©2019 Universal Studios. All Rights Reserved. 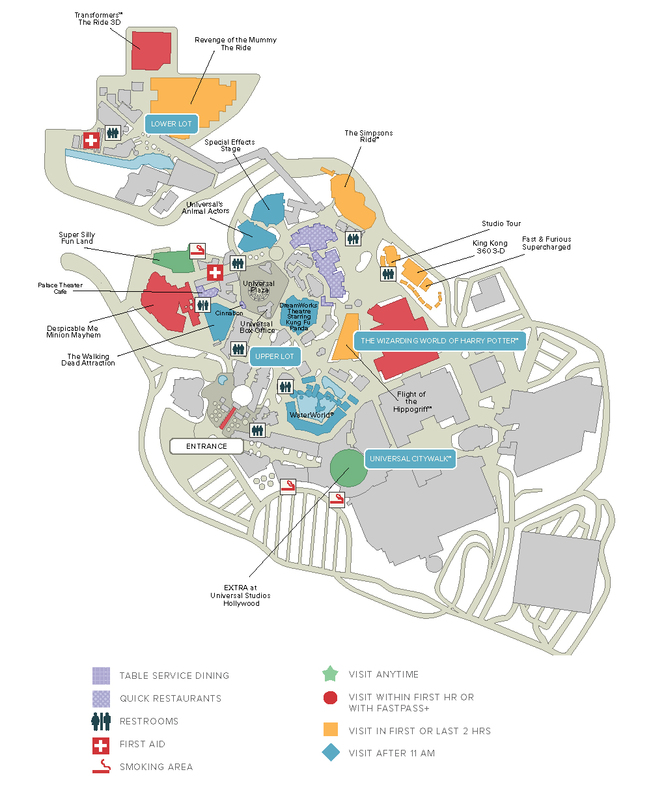 For those of you who don't plan to arrive at park opening or want more flexibility than a park plan, our general map is the easiest way to determine at a glance the best times to visit Universal Studios HollywoodTM's attractions.